This is the picture from my house today. 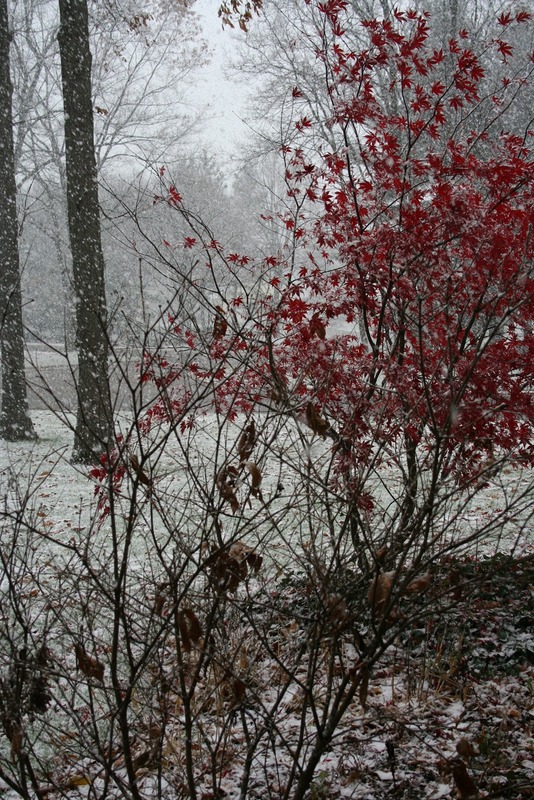 Our first snow. I've been singing Christmas carols all day. I'm certain my family will put a stop to that later. I'm not ready for boots, mittens and scarves but I better jump on board because winter is here! Hi Renee, WE've had two snows already and I'm not there either. Love it, but so glad I don't have to venture outside if I don't want to. Stay warm. Oh my gosh Renee! 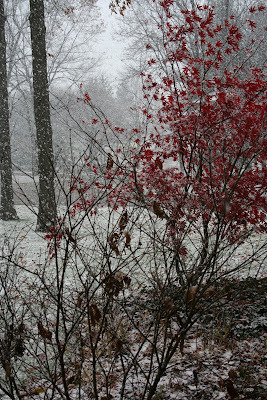 We got some flurries here this afternoon but nothing big and it didn't stick! You aren't that far away, I hope that isn't headed here! The pictures are so lovely to look at!! It sure does make you in the Christmas mood when you see it snowing!! Yeah, winter sure is coming fast this year!! wow! Beautiful photos!!!! We need light jackets here in Texas. Enjoy your snow! My Dd read your post and immediately started singing - and it's 30*C (86*F)here at 10:30! Not frightful at all! We have had a few snowfalls here in Colorado. The leaves are still on the trees here and so the added weight of snow has causeed quite a few branches to snap and fall. Oh my! Well, frightful weather = more stitching time! :-) Enjoy! You MI folks need to keep that white stuff up there please. 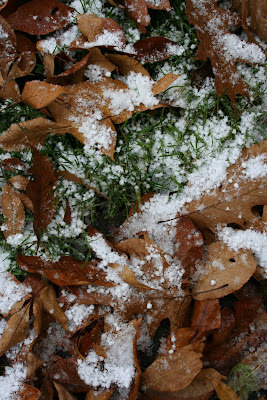 :) Some of your snow flew down here in IL and we saw a few flurries but I do not want to see any more! Okee-do-kee? :) My Sissy wasn't very happy about it.